Intel had announced at MWC 2012 that is has made Lava Mobiles its OEM partner to manufacture smartphones with Intel based processors. 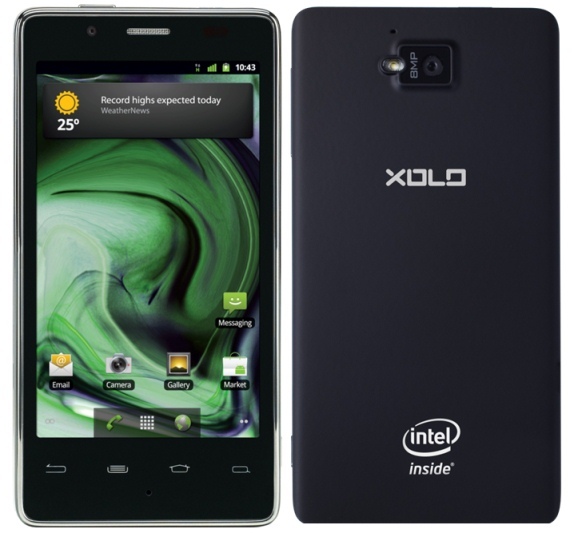 They had also revealed that the Xolo X900 would be the first device. Well, today, both the companies have officially announced the device in India. The Xolo X900 is the first Intel based smartphone which is being manufactured by Lava Mobiles and will be available in the Indian market this month. The smartphone is an Android 2.3 Gingerbread device but an upgrade to Android 4.0 Ice Cream Sandwich will be hitting soon. The specs of the smartphone include an Intel Medfield chipset clocking at 1.6GHz, a 4.03-inch display with 1024×600 pixels resolution, an 8 megapixel camera with 1080p video and a front 1.3 megapixel camera, 16GB internal memory, NFC, Wi-Fi, 3G and HDMI. As for the availability and price, the device will be available in India from the 23rd of April and it is priced at Rs.22,000. For more info visit here.